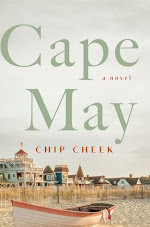 Goodreads says, "Cape Cod summers are supposed to remain reassuringly the same, but everything falls apart when three sisters and their families come together for their annual summer vacation—and they are carrying more secrets than suitcases. Maggie is the oldest. She feels responsible for managing the summer house and making sure everything is as it always has been. But she’s hurt that her parents’ recent divorce has destroyed the family’s comfortable summer routines, and her own kids seem to be growing up at high speed. Is it too late to have another baby? Jess is the middle sister. She loves her job but isn’t as passionate about her marriage. She’s not sure she can find the courage to tell Maggie what she’s done—much less talk to her husband about it. Virgie is the youngest, her dad’s favorite. She’s always been the career girl, but now there’s a man in her life. Her television job on the west coast is beyond stressful, and it’s taking its toll on her—emotionally and physically. She’s counting on this vacation to erase the symptoms she’s not talking about. The Herington girls are together again, with their husbands and kids, for another summer in the family’s old Cape Cod house. When their mother, Gloria, announces she’s coming for an unscheduled visit—with her new boyfriend—no one is more surprised than their father, Arthur, who has not quite gotten over his divorce. Still, everyone manages to navigate the challenges of living grown-up lives in close quarters, until an accident reveals a new secret that brings everyone together in heartbreak… and then healing." Each July, the Herington sisters take off for their family's beach house in Cape Cod. There's Maggie, the eldest sister, who always tries to make everything perfect for the family. Her twin, Jess, is also coming with her family, except things with her husband aren't good. Then there's the younger sister, Virginia, or Virgie, who is always consumed with her job. To complicate matters further, her parents are newly divorced and want to spend some time with them this summer, but thankfully, Maggie has them coming on different weeks in order to not make things completely awkward. This is even more crucial when they find out their mother is bringing a male friend. But this summer is anything but easy. Many ups and downs occur for the family. For starters, Arthur, their father, is suffering from memory loss and showing many signs of hoarding since his marriage has been over. He wants Gloria, his ex-wife, to come back to him, but she has moved on. There's also marital problems, issues with careers, illness, and a side of family drama all while the Heringtons try to enjoy their summer vacation. 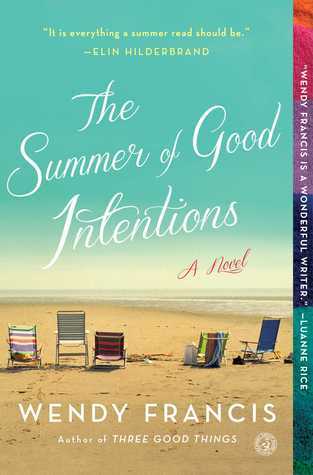 The Summer of Good Intentions by Wendy Francis is a summer read with heart. It's not all rainbows in this book; the characters face some major issues that I think many people can relate to today. The chapters alternate between Maggie, Jess, Virgie and Arthur, which I thought was well done. I could really get a sense of each character this way and I felt the most connected with Maggie, the type A character that sort of handles everything. She has a really great marriage, great kids, but now that her kids are growing up, she is thinking of adopting. This hangs over her head during their trip as she still hasn't approached her husband about it yet. Jess is a high school principal married to accountant Tim, but she is utterly bored by their marriage in The Summer of Good Intentions. They haven't truly connected in years and because of this, Jess finds herself looking elsewhere. She hasn't told anyone this, but she knows she will have to confide in Maggie once she gets to the Cape. Virgie is a workaholic who has recently been passed over for a really big job in The Summer of Good Intentions. She is hoping to relax a bit at the Cape, but things start to go down hill for her health wise. I don't want to say much more for fear of spoilers. Francis' depiction of an elderly person dealing with dementia is spot on. I truly felt for Arthur and his family when dealing with all of his missteps. It was a very accurate portrayal and one that particularly tugged on my heartstrings. Also, Francis also did a great job illustrating the joy of summer and that one place you go to escape. There were many lines that really resonated with me where the characters just exhaled and relished life at the beach. Although The Summer of Good Intentions was a tad more depressing and serious than I thought it would be, I still thoroughly enjoyed its message that life is complicated and can be messy at times, but in the end, it's beautiful. If you enjoy family dramas with a beautiful beach setting, then this is the book for you this summer. This sounds like the perfect beach read. Though I might not be able to relax because of the tensions within the family and in their personal lives. I'm intrigued! The tension was very realistic though! I hope you can get your hands on a copy. Thanks for visiting, Joy! Latest post: Book Blitz: Sun-Kissed Summer by Marta Brown + Giveaway! Thank you, Fiona. The family drama was very realistic! Thanks for visiting. This sounds like a really good one, Christina! I was sold when I saw the cover on one of your previous posts - ha! Thanks so much for the review! I know, right?! The cover just screams summertime. 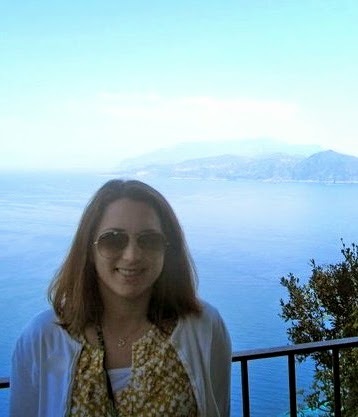 Thanks for visiting, Tara! It was depressing in that life can be messy and it's not always perfect....so it was very realistic in that sense, but the overall message was uplifting. Thanks for visiting, Kate! I will have to add this to my TBR list. It sounds fantastic! I like the mix of characters as well as the beach setting. Yes! I think you'd like this one, Christina. Thanks for dropping by!